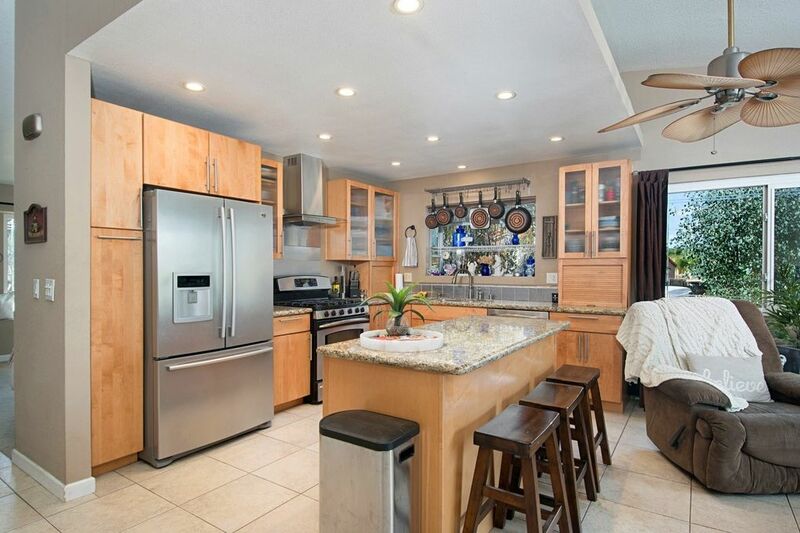 Beautiful San Marcos single story 3 Bedroom home with a large backyard. This home has been remolded to open the kitchen up to the family room. New cabinets, stainless steel appliances, granite counter tops, dual pane etched glass windows, solar tubes, ceiling fans, and built-in closet organizers.